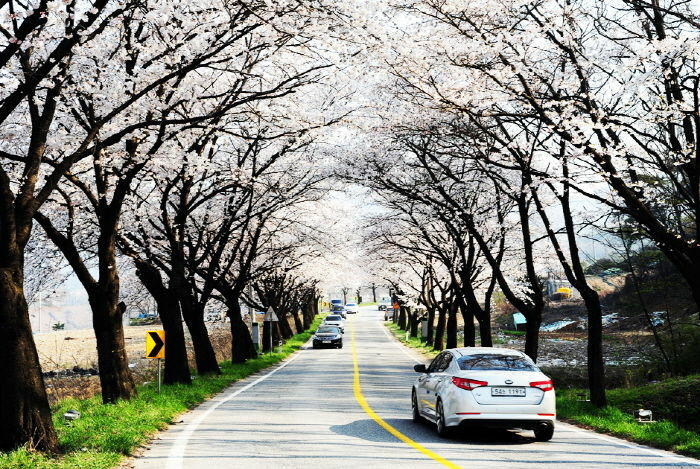 Cheongpungho Cherry Blossom Festival is held in the Cheongpung Lake area of Jecheon when varied spring flowers such as white cherry blossom, forsythia and azalea are in full bloom. Visitors can enjoy exhibitions and performances as well as other activities like bungee jumping operated by Cheongpungho Lake, and water sports and leisure activities all in one spot. Cheongpung Cultural Heritage Complex and SBS Filming site in Jecheon are also situated near the lake for tourists to visit to the area. From Dong Seoul Bus Terminal, take an intercity bus to Jecheon. Take Bus No. 950 from Tongyang Securities Building Bus Stop and get off at Cheongpung Cultural Foundation Bus Stop.